We refer to the sale of the above building plot and confirm that our Client is inviting best and final offers with a closing date of 12 Noon on 12 October 2018. 7 – Acting solicitor details. It is understood that the building plot has Himalayan Balsam present which is being treated as part of a management plan. 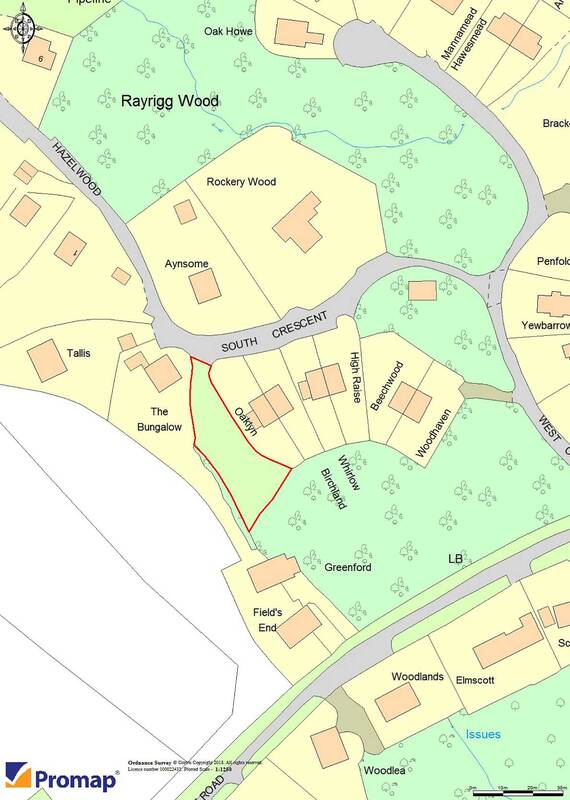 A prime residential plot offering a rare opportunity to purchase a freehold building site in a desirable area in Windermere benefiting from a private setting, enjoying easy access to Windermere, Bowness-on-Windermere and the regional road network. 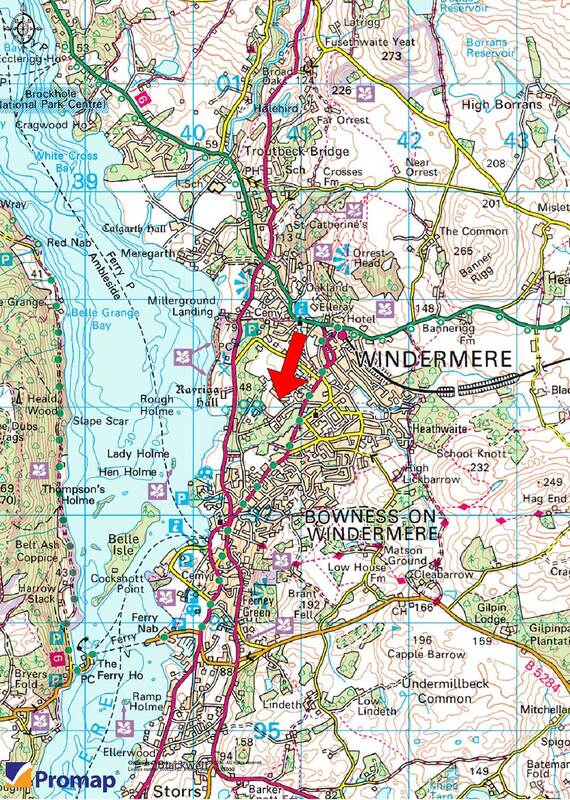 The subject development plot is situated at the central aspect of South Crescent a short distance to the west of Lake Road, in Windermere and less than 1 miles to the north of Bowness-on-Windermere, Cumbria, in the North West of England. Windermere is known as Cumbria’s most popular tourist destination and is effectively one large settlement with Bowness-on-Windermere having a resident population of circa 12,000 (2011 Census). Windermere is situated in the Lake District National Park which was designated in 1951, is the largest National Park in England and was recently awarded UNESCO World Heritage Status. It covers 2,362 square kilometres following the extension of its boundaries in August 2016 and makes up a third of the total area of Cumbria extending across parts of Eden, Allerdale, South Lakeland and Copeland. The National Park has a population of 41,100 (2011 Census) and attracts approximately 18,410,000 visitors each year with tourism being the major industry. (Source – Lake District National Park). There is a train and bus station at the northern end of Windermere providing local train services to Kendal and Oxenholme Station which is on the main North West Virgin Train Line as well as regular bus services. Lake Road (A5074) is the main thoroughfare linking Windermere with Bowness-on-Windermere. Lake Road connects with the A591 to the north travelling through Windermere town centre approximately 800 metres away and also travels south connecting with the A592 and Bowness and Lake Windermere circa 1 mile away. The subject land comprises a regular shaped development plot which is situated at the central aspect of South Crescent with access to be taken over a private driveway. The site comprises approximately 0.07 hectares (0.18 acres) and is bounded to the north by a residential dwelling, to the south east by south crescent wood and South Crescent private road continues west to further residential dwellings. The site has had the foundations completed to preserve the planning permission (Ref: 7/1996/5290) and provides an opportunity to create an attractive dwelling with associated gardens in a private setting. On the instruction of the Vendor a pro-active environmental build approach will be favoured with consideration given to materials used, build method, carbon footprint and environmental efficiency. The subject site benefits from planning permission (Ref: 7/1996/5290) which has been activated due to the installation of foundations. The site lies within an attractive private setting and the build of the proposed dwelling will need to reflect the existing high quality, character and setting of this exclusive neighbourhood. A copy of the decision notice is attached with these particulars. Prospective purchasers/developers should contact The Lake District National Park Planning Department to discuss any scheme proposals, telephone: 01539 724 555. The developer will be responsible for any necessary assessment of ground conditions and will need to satisfy themselves that development can take place safely. It is understood that the mains services are available on or adjacent to the site. Prospective purchasers will need to satisfy themselves as to the suitability of the services available. Offers are invited for the freehold interest with a guide price of £175,000 exclusive. Please note that our Client is not obliged to accept the highest or any offer without prejudice and subject to contract. The successful purchaser(s) should be aware that they will have to provide us with documents in relation to Money Laundering Regulations. Further details are available upon request. Each party to bear their own legal and professional costs in the preparation and settlement of the sale documentation together with any VAT thereon. These particulars were prepared in July 2018.